Peal the eggplant with a vegetable peeler. Place the whole eggplant on a parchment lined baking tray and rub generously with olive oil. Bake in the oven until softened and golden, about 35 minutes, turning it over half way through cooking. Meanwhile, make the tahina. Combine the tahini paste with the lemon juice until it makes a stiff paste. Add a teaspoon of warm water at a time, making sure it is thoroughly mixed and smooth each addition. You may not need all of the water based on your preferred consistency. Add the honey and mix again. Next, make the gremolata. In a food processor, combine the bunch of parsley with a clove of garlic and the vinegar and a pinch of salt and pepper. Pulse until it's very finely chopped. Add the almonds and pulse again until they're very finely chopped. Do not let it get to a paste consistency. It should still have a crunch to it. 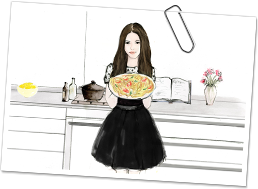 Remove the mixture from the food processor and mix with two tablespoons of olive oil and the chopped red chilli. When the eggplant is cooked. Remove it from the oven and turn on the grill/broil setting on the oven. Combine the tamarind paste, honey and the lemon juice. Brush the top of eggplant with the tamarind mixture. Place it back in the oven under the grill for a minute, until it starts to caramelise. Then turn the eggplant over, brush the other side with the tamarind mixture and broil again for another minute or until bubbly and caramelised. Keep a close eye on it while it's under the grill. To serve, pour the tahina sauce onto the base of a plate. 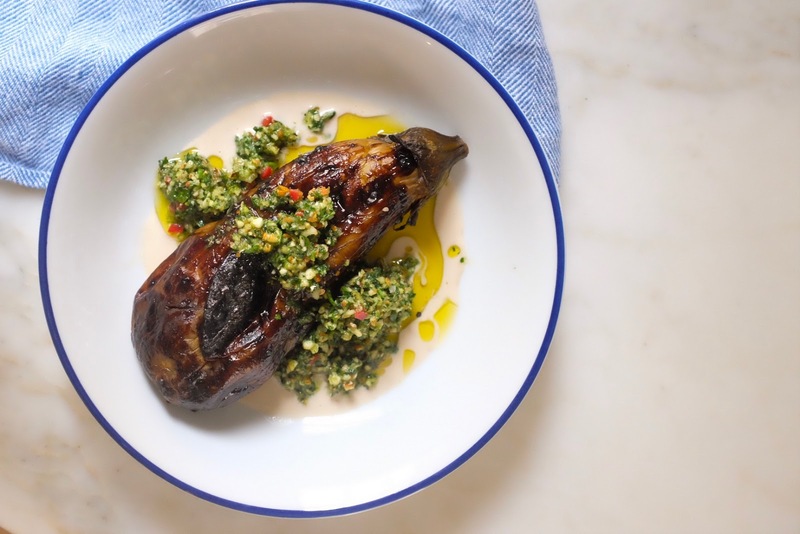 Place the now sticky aubergine on top of the tahina and top generously with the gremolata.